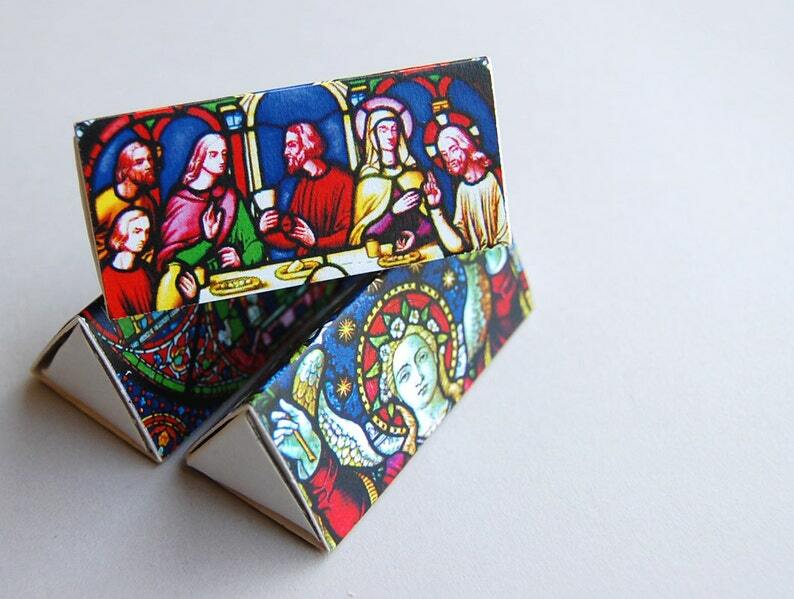 Elegant triangle matchbox gift set -- British D-Lites -- Stained glass sections. 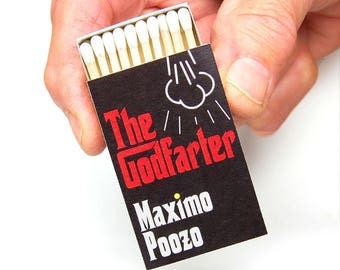 Set of three matchboxes. Cute mini gift. As a British expatriate, my house is most definitely my castle. Your house can be palatial as well with splendid British stained glass matchboxes, so noble and imposing and yet small enough to fit on your coffee table with room to spare. Your friends will be consumed with envy. Also a perfect gift for your Anglophile acquaintances. This set of matchboxes features photographs taken by me of my favourite stained glass in Ely, Canterbury, and Norwich cathedrals in the mother country. Comes in a set of three as pictured, and wrapped in a cello bag. Boxes are approximately 2 inches long. The two upper facets depict the structure, leaving the third as a generous striking surface. Hostess Anglophile gift -- British D-Lites -- Structures. Ste of three elegant triangle matchboxes. Great candle gift.